Davis House is the senior boys residence. It is attached to Pierce Hall, the school’s auditorium. 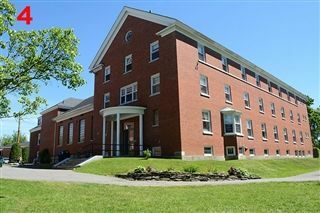 The original Pierce Hall was destroyed by fire in 1951. The residence and hall opened in 1958. The house is named after Harry Davis, an alumnus of the school and major contributor to the building’s construction. Pierce Hall honours the Pierce family, who were instrumental in the school’s founding and development. Davis also houses the Music Department.